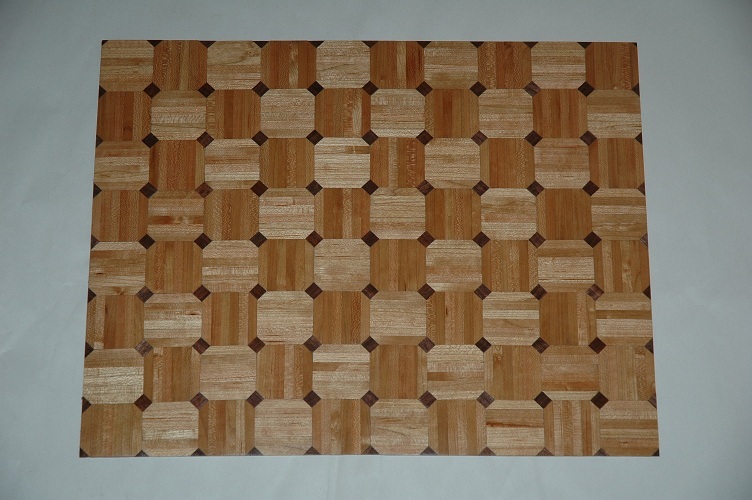 There are many of us that like something different or special for a floor design. This page opens up that opportunity for you. There are many different floor designs to choose from. Some I have made already, and others are just pictures of what I could make upon request. 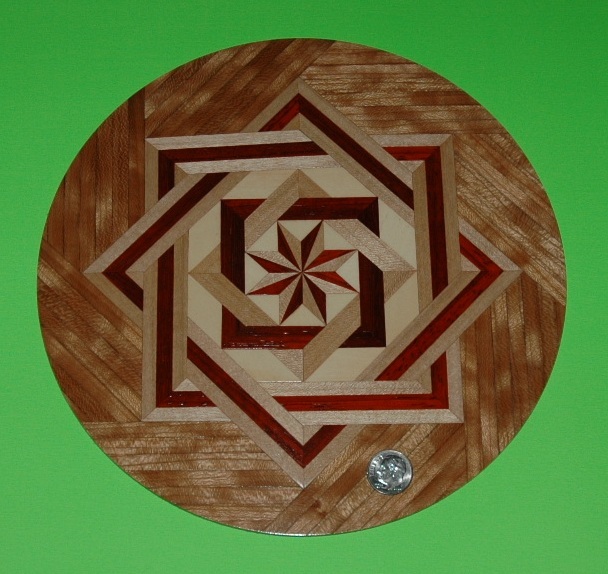 The neat thing is that I also make table tops of some of these same designs. Thus you could actually have a matching floor and table together. Now how unique and cool is that? 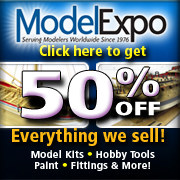 Unless otherwise indicated, all of these floor designs are custom built-to-order. 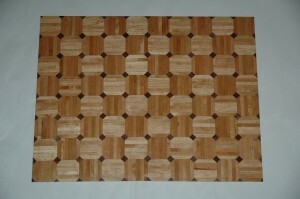 Thus you may also select which woods you want for your particular floor. That being said, you really need to contact me directly before ordering any of these floors to discuss wood selections, specific designs and/or alterations, and time schedule. 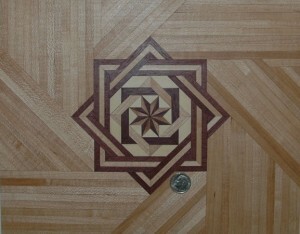 This is one of my Starburst floor designs. It could be used for a round room or a gazebo, etc. It is about 8 1/4″ in diameter, but can be cut to almost any size outside of the startburst design itself. Contact me directly if you want to commission one of these. Size and choices of woods will make the price vary between $90 – $110 each. 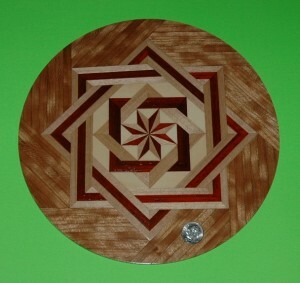 This is another version of one of my Starburst floor designs. 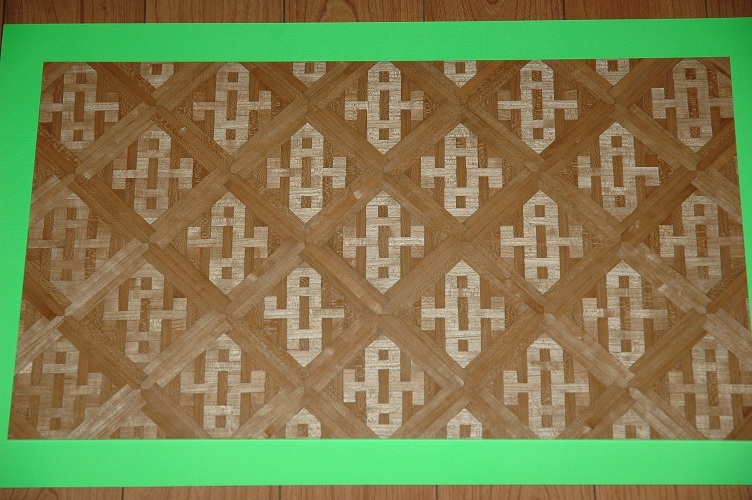 It could be used for an entrance way, or a fancy dining room, or a rectangular gazebo, etc. It is about 8″ wide by 10.5″ long, but can be cut to almost any size outside of the startburst design itself. Contact me directly if you want to commission one of these. Size and choices of woods will make the price vary between $100 – $120 each. This next design is a subset of what you see above – but is the core of the design. I have several of these both 2 5/8″ wide and 3 1/2″ wide. 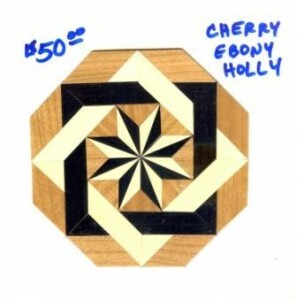 There are various mixtures of woods used (but only 3 at a time): cherry, ebony, holly, maple, bloodwood, purpleheart, and walnut. 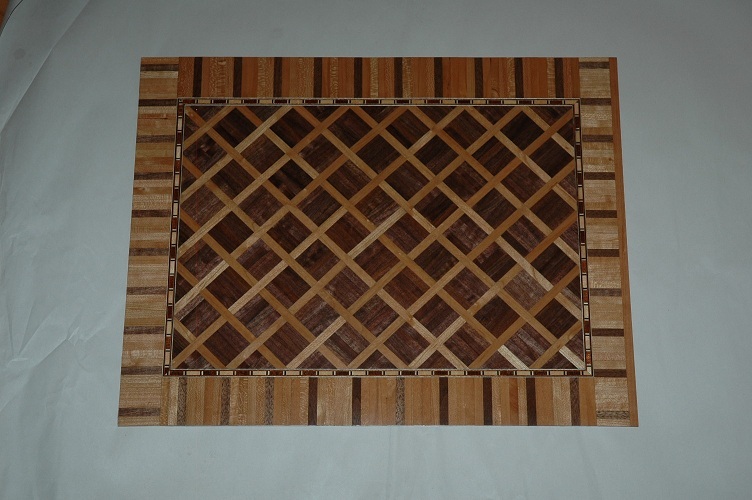 Prices again vary depending upon woods selected – $35 to $55 each. 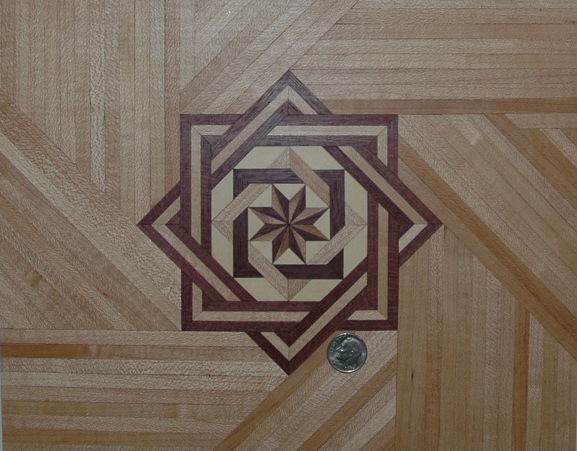 Below are just some samples of custom floors that I have made for previous customers. 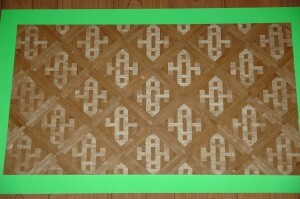 These may look simple, but they are very large floors and thus very time consuming. Thus their prices range from $200-400 each.